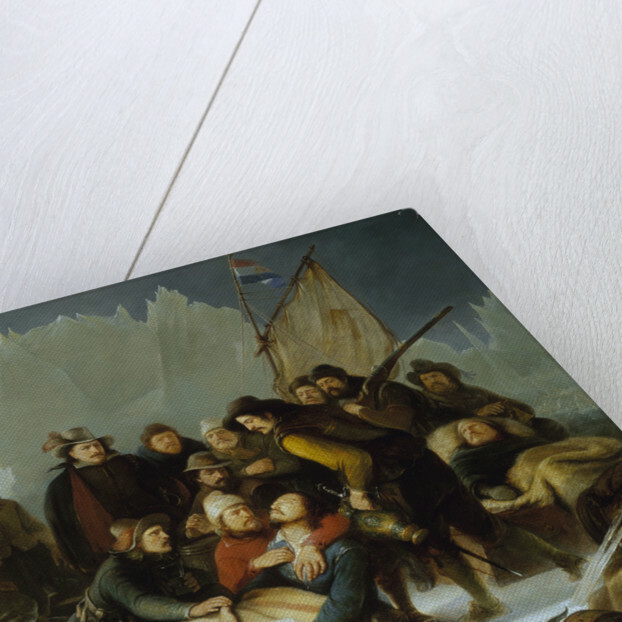 An evocation of the death of the Dutch navigator and explorer, Willem Barents, made over 200 years after the event. Sailing from Amsterdam, Barents made three voyages in 1594, 1595, and 1596-1597 in search of the North-East Passage to Asia. On the first two expeditions he reached Novaya Zemlya, a group of islands in northern Russia. 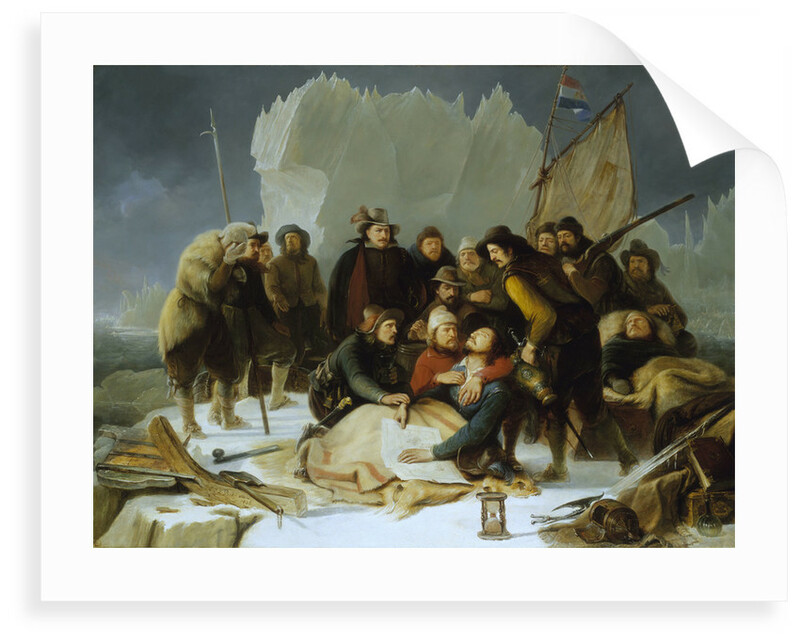 On the third voyage he discovered an island called Bereinland and Spitsbergen, and rounded the north point of Novaya Zemlya where he became marooned, when his ship was crushed in the ice and he and his crew were forced to winter there. 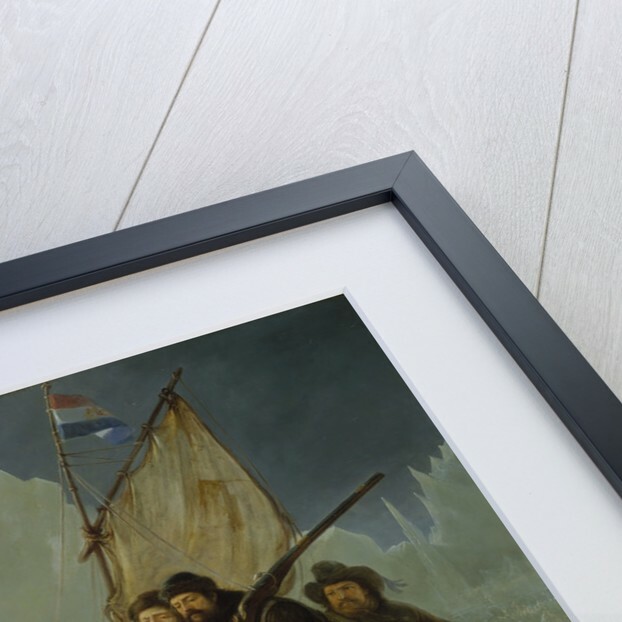 They were the first Europeans to winter so far north and their wintering place became known as 'Huys, or 'The Barents House', which remained undisturbed for nearly 300 years. 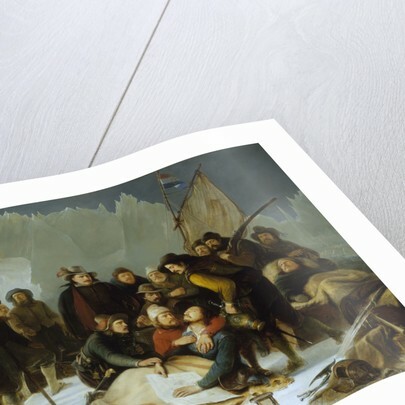 After the arctic winter the crew started for the mainland in two small boats but Barents died on the way and there were only twelve survivors from the expedition. The extent of Barents's explorations and the accuracy of his charts made him one of the most important of all arctic explorers. More by the artist Christiaan Julius Lodewyck Portman.